That was the first time Maniyio experienced anger. Desperation replaced the peace that always crowned her had been replaced by desperation. Fear was an unfamiliar and cruel threat that was overwhelming her. While she laid down under the colossal and ancient tree that would always bring her comfort, Maniyio stared at the glowing stars with a broken heart. She grew up in a small town of La Cordillera Central of the beautiful island they called Borinkén. As the daughter of Abey, the cacique (chief) of the Indians Taíno tribe, Maniyio was always surrounded by love and joy. Remembering with nostalgia those years when her island was a magical paradise, a river of tears inundated her irritated eyes during that lonely night. While she tightly embraced the huge trunk of the mighty tree, she contemplated the movement of the breeze, rhythmically flowing with the shadows of that night. A chilly silence penetrated into the deepest part of the forest. Quietly staring at her, the owl that always kept her company was reflecting in his smoky eyes the pain that was tormenting her soul. Maniyio learned at a very early age that the sacred tree, known as La Ceiba was the portal to higher spiritual realms. As a little girl, she liked to spend hours visiting the primitive tree. Transiting to a higher dimension through the magical channel of its roots, she was able to communicate with the great spirits, gaining the wisdom in a short time that could take many lives for others to acquire. Recognizing Maniyio had been blessed with a very special gift, Alonso, who was the bohíque (priest or medicine man) of the tribe, became her mentor on her six birthday. Preparing the beautiful Indian Princess for her life mission, he taught her that there were five directions in this world. In addition to the north, south, east, and west, the fifth one was an etheric tube that went from the bottom of the ocean through the earth and into the center of the skies. This direction reached out from the roots of the tree and the great branches that were supported by the heavens. Her keen ability to communicate with the great spirits was so impressive; however, upon her fifteenth birthday, Maniyio had a premonition that frightened her. In search of some answers, she visited La Ceiba, hearing that big changes were rapidly approaching her. A couple of days later, the Spaniards invaded Borinkén, transforming their beautiful island into a prison when they colonized the land. That was the first time the Taínos experienced hatred toward the Spaniards. The warmth and trust they offered the Spanish soldiers quickly vanished, as the Indians realized that the Spanish took their freedom away. Shortly after a Spanish captain named Hernán arrived at the island, he noticed the physical beauty of Maniyio. Trying to conquer her, he brought her exceptional gifts. However, her heart belonged to, the right hand of her father; Caguano decided to confront Hernán to warn him that Maniyio would never be his. Even though he had no intention to attack the Spaniards, one of Hernán’s soldiers killed him. As a result, a war between the Taínos and the Spaniards took place. Maniyio’s heart was shattered into pieces when they brought Caguano’s dead body to her. With only a few months away from their wedding, she had been joyously planning their big day. During the war between the Taínos and the Spaniards, many other Indians died too. Fearing for her parent’s life, she went to the magical tree for help. –I am so angry.– Maniyio cried out with shadows in her eyes. –What answers would you like to get tonight? —La Ceiba asked her with a compelling and compassionate voice. –How can I let go of this emotion? –Maniyio implored feeling abandoned for the first time in her life. –Fear is such a powerful emotion but, in reality, is just a perception that the limited mind creates.–The tree said with a warm and soothing tone. –You made a pact with your soul before you incarnated this life. Deep down you know that pain can strengthen your spirit. You agreed to go on this journey so you could learn and teach the lesson. When you were much younger, you were able to reach higher dimensions through me. Center your soul in love and once you do it, you will understand that fear is the opposite emotion of faith and hope.– La Ceiba stated, reassuring her that even though she was feeling weak and hopeless, the spirits of the Spaniards had a long way to gain consciousness. –Why did Caguano have to die? Help me to understand why this was supposed to happen?–Maniyio protested, her wisdom blinded by the anguish of losing her beloved Caguano. Momentarily, La Ceiba’s branches led her to the realm of the great spirits in the heavens. Becoming a portal to the mystery of death, the spirit of Caguano reached out to her. –My beloved Maniyio, I will always love you. I’m sorry for leaving you, but you must continue with your mission.– Caguano’s spirit declared through the gentle movement of the branches. –My mission? What do you mean? Because of me, you and other members of the tribe died. Maniyio’s reply denoted desperation. –There is always a reason for everything in life. Yocahú allowed this to happen because our children will have to learn to survive in a new world.– Caguano’s spirit firmly stated while the gentle breeze cleaned her tears. –Life is a continuous cycle. Everything happens simultaneously. That is why time is only a perception. This moment is the only reality. Even though I was killed in this dimension, there are others where we are together, already married with children. Life is magical.– As she heard Caguano’s spirit say those words, Maniyio was able to see his loving and hopeful smile. Even though Maniyio couldn’t change the new world where the colonizers were destroying their dreams, she was able to understand that she could change her reality from within. With the guidance of La Ceiba, Maniyio shared her wisdom and knowledge with her people and mastered her ability to transit from one world to another in the spirit world. While the Spanish soldiers claimed victory in the new world they discovered, the Taínos began to disappear rapidly from this earth by ascending to a higher plane. During that time of oppression, the ancient and sacred tree, also known as The Tree of Life became the portal to an invisible world that reigned in the most sublime and magical lands of Borinkén. This entry was posted in Flora and Fauna, The Tainos, Yvette's Prose and tagged bohíque, Borinkén, cacique, Juracán, la ceiba tree, Spaniard colonization, Spaniards, Taínos, taino indians, the sacred tree, the tree of life, yocahu. Bookmark the permalink. Carolina, thanks so much for your comment. The sacred tree of life, lays forever deep within our own soul. 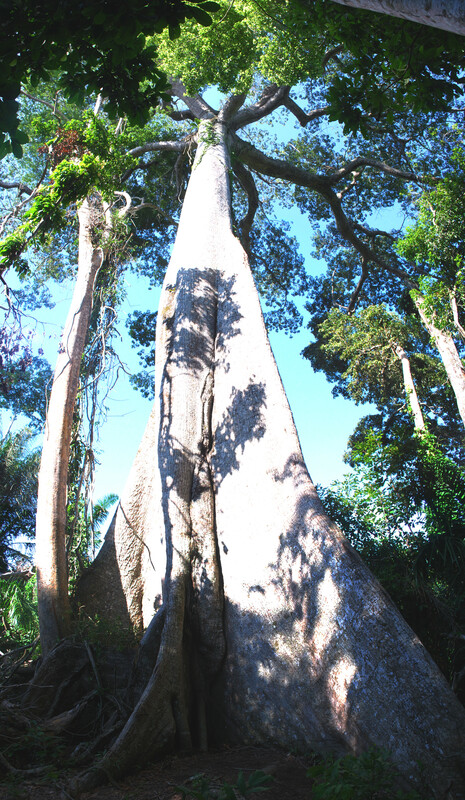 The sacred ceiba tree of life, teaches us, that life begins from within, the womb of mother earth madre tierra. The teachings of our mother n grandmother tree is the heart of all creation, when we enter the womb we are reborn again, in spirit we are healed and strengthen to carry on the teachings of old and the wisdom of new, our ancestors knowledge with understanding the sacred web of life. creator n creation and i are one. Bomatum AYE! Yucahu y atabe.